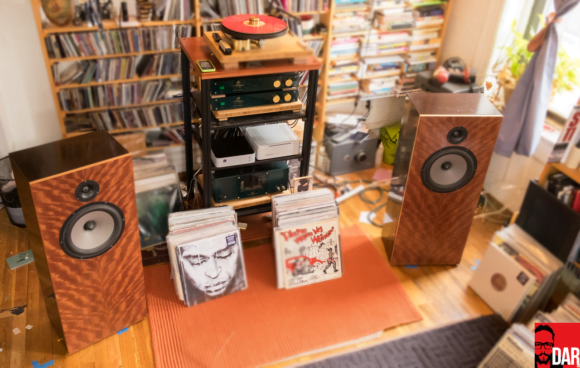 Though the bulk of my rig would be considered “high end” – Shindo amplification and DeVore Fidelity loudspeakers — my digital front end is decidedly 2010. Apple Macbook, two Western Digital 4 TB mirrored hard drives, and a cute little Halide HD DAC have provided this vinyl lover with hours of digital audio decency. 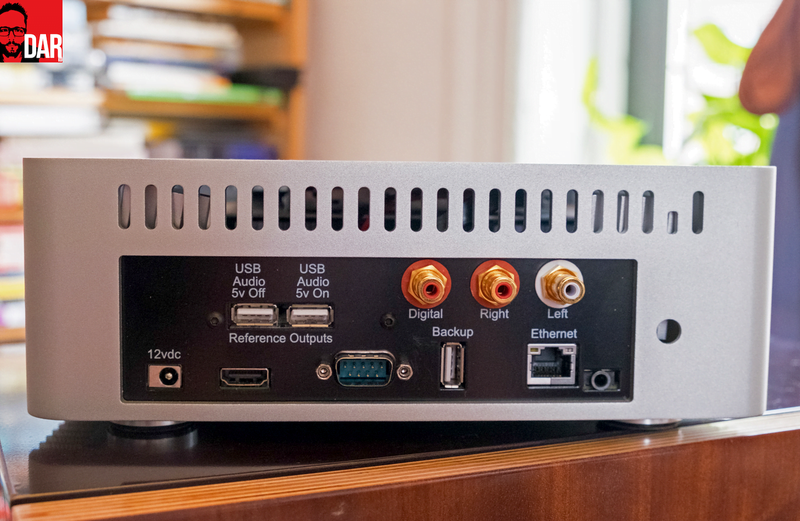 Luckily, I’ve reviewed many DACs, beginning with a maze of tiny tot USB DACs for 6Moons.com and more recently, the Mytek Manhattan and PS Audio DSD DAC. As the medium improves, morphs, and ramps up to warp speed, new technologies are introduced that improve on dead tech devices. As some devices, like CD players, slowly disappear, others, better equipped to process digital’s 1s and 0s, take their place. The server, with its onboard storage, ripping, streaming and processing capabilities is the latest to capture the imagination of crafty designers. And for good reason. 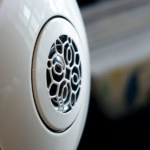 By eliminating wires and focusing on streamlined internal functionality, servers offer an all-in-one solution while tackling one of digital audio’s biggest problems: noise. Setup. Making all the basic connections was easy. I used an off-the-shelf Ethernet cable to connect the DS to my Apple Extreme router, and the included Antipodes USB cable to attach the DS to the PS Audio NuWave DSD DAC (on loan) wired into my Shindo Allegro preamplifier. 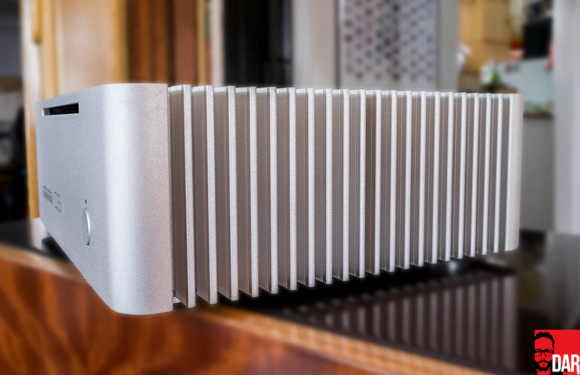 The older Halide DAC was not compatible with Antipodes’ 2.0 software. I powered the DS, and after some fiddling and mental decoding of the manual, the DS appeared as a shared device on my Macbook. The VortexBox screen provided control options including access to Logitech Media Control Center, CD/DVD Ripper, FLAC Mirror, Network Configuration, System Configuration, Backup (for attaching external hard drive storage), Configure Player (where the DAC appears). But that’s not all there is to setting up a server. Not by a long shot. DS demo goodness. Antipodes’ demo FLAC selection of over 300 titles incorporating blues, jazz, classical and folk – with a lack of metal and electronic as previously noted – was incredible. Led Zeppelin, Alison Krauss, Bad Plus, Duke Ellington, Louis Armstrong, Frank Sinatra, the USHER demo disc, a healthy assortment of classical titles, Chesky and David Chesky titles, The Doors, Holly Cole, The Rolling Stones, Stacy Kent, Shelby Lynne, and underrated English jazz singer, Claire Martin, comprise a small portion of the demo material available. The demos were uniformly excellent sounding when the source was excellent to begin with: Sticky Fingers still sounded like a bad ‘70s recording, while Holly Cole’s “Don’t Smoke in Bed” unleashed some of the most gorgeous, room-filling, chair-throbbing bass and hand drum notes I’ve ever heard in my system. Antipodes’ triumph in eliminating noise was apparent in the FLAC demo of Frank Sinatra’s 1962 recording, “I Get A Kick Out of You.” I know the track well, yet through the Antipodes the song was a revelation. All the grace and swing and feel of Sinatra’s voice were present yet with a band that seemed to have awakened from a 50-year slumber. The wiry grip of the walking bass, the booming bass drum accenting with “kick!,” the larger and deeper soundstage – incredible all the way around! And the song’s resolution was unparalleled in my experience. By lowering the noise floor, the song came alive. And remember, this is a FLAC demo title. All the FLAC demos sounded good, some great, and some like the Sinatra and Cole, exceptional. Streaming. Setting up Tidal couldn’t have been easier. The “Apps” page under the Antipodes GUI led to plug-ins including Tital, Qobuz, BBC, Spotify and many more. Tap on the icon, enter your password: streaming hi-fi sounds. More on ripping. I pulled out a handful of CDs looking forward to some serious ripping downtime. But not every rip went off as planned. Some CDs ripped quickly, some ripped slowly, some refused to rip at all. Everyman Beatles titles went up in a dash, while free jazz from Norwegian drummer Paal Niissen-Love (27 Years Later) was unrecognized and un-rippable. Okay, so that’s a left-of-center title, especially so for a company that doesn’t consider metal or electronic worthy for including in its demo library. But the DS couldn’t manage a rip from Germany’s ECM label either: Thomas Stronen’s Time Is A Blind Guide. (In jazz, ECM is as common as Blue Note.) The DS had no problem recognizing and ripping jazz saxophonist Noah Preminger’s latest CD, Soul Jazz’s 100% Dynamite ska collection, Funci Porcini’s Plod, and Air’s Walkie Talkie. And the rips were uniformly better than any of the onboard demo FLAC files. Side note: the replacement DS was slightly louder when ripping than the outgoing machine. Summing up the bits. The notion that “bits is bits” was destroyed by the Antipodes DS. I suddenly felt sad. I’ve ripped and sold 1000s of CDs via the Macbook/WD combo, thinking “who needs CDs?” I never realized a server could translate this level of resolution along with the DS’ most impressive trick: its ability to recreate the true depth, width and height of the recording’s soundstage as originally created by the recording engineer and producer. The DS’ immersive soundstage was truly a revelation, and a great musical joy. (Sigh). Banging! The Antipodes DS delivered the promise of digital as I’d never heard before. Well-recorded CDs became extraordinary sounding FLAC rips. The sound was organic, present, tonally-rich, extremely dynamic, resolving, sweet and organic. This was no case of upper frequency enhancement at the expense of low frequency warmth; the Antipodes simply brought more music to the table. The cliché of “hearing my CD collection anew” was in full effect. Is the Antipodes DS a value-added component? US$3170 (DS) vs. US$1299/US$129 (Macbook/Western Digital 4 TB) is no bargain. But the DS clearly betters my current ripping scenario (new Macbooks don’t offer a CD slot); provides a port to attach external storage; streams anything and everything; sits on your network so say goodbye to wires; and is built like a proverbial tank. Other server/ripper/streamer options are available (such as the Bluesound Vault 2 w/ 2 TB storage for US$1199), but whether the quality, not to mention Antipodes’ friendly and efficient customer support, will be similarly available from other brands is anyone’s guess. 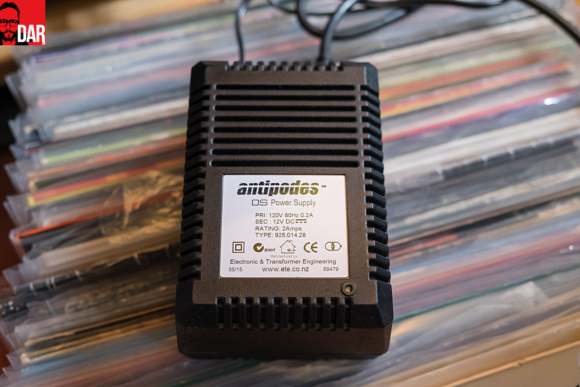 As Antipodes has proven with their flagship DX Reference, the New Zealand company is a leader in the server/streamer field. And they don’t exploit kiwis, geckos, or tuataras. 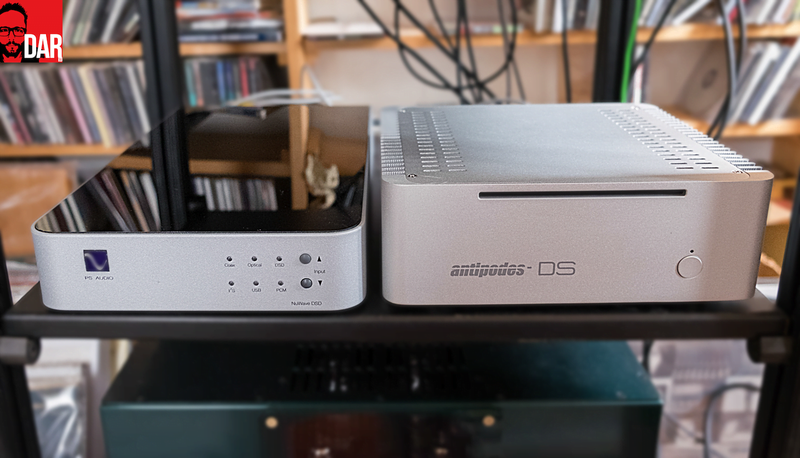 The Antipodes DS is a supreme achievement. 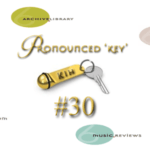 Previous article KIH #30 – It’s showtime! If I’m reading you correctly: the servers can’t possibly be any good because you don’t dig the same company’s cables? You probably need to google the ‘accurate rip’, because it doesn’t sound like you what you are talking about. I still rip CDs with a 6 year old desktop of $ 400 (100% accurate eac rips), so it surprises me if you would like you educate us about the value of the Antipodes your comparison. A proper comparison with actual products that have an audiophile USB output would be better. In this case, a $3k device that is cranky about which cds it “likes”? Both my old PC and my recent “hand me down” iMac from my wife have never failed to rip any of my thousands of cds and send the files to Yggy. Thanks for reporting what you find. Color me still looking. I understand how playback of FLAC files on different digital sources/servers can sound subtly different (i.e. real-time streaming with no error correction and therefore susceptible to noise/jitter, etc). I also buy into the fact that digital interconnects can subtly affect sound for exactly the same reason. Did you try transferring any FLAC files from the Mac onto the DS and then comparing them to files of the same tracks ripped directly onto the DS? I imagine these would sound identical to one another (and if not, please can someone explain to me how this is possible)? People with common sense asking question and nobody is there to reply? Hey David – I’d comment myself but haven’t used the ripper sufficiently ofter on my DX to conclude either way. How about hitting up Mark Jenkins of Antipodes over in NZ? And on a related note, simply because you’re not given the response you desire in the time frame you expect doesn’t mean anyone is peddling lies. 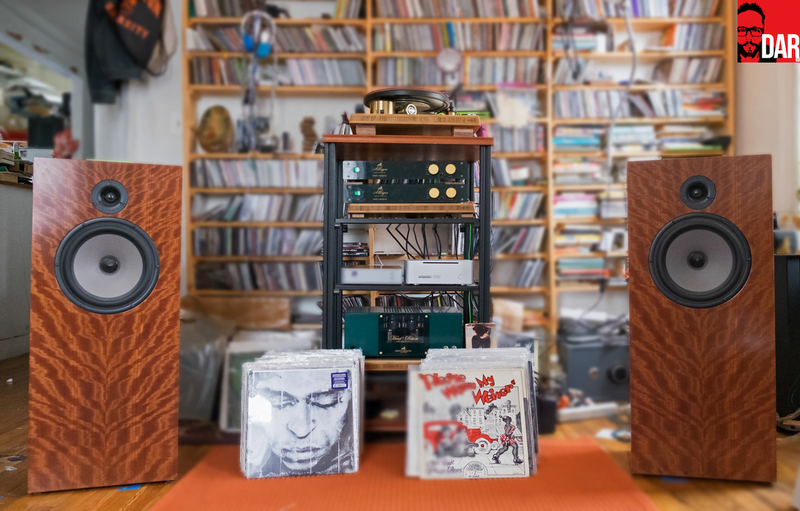 I’ve really enjoyed the Antipodes cables i have in my system – appreciate that its all down to personal taste as with anything music or audio related. 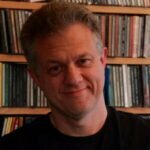 Based on my own experience and what i see online, Mark Jenkins would be happy to answer any technical questions about his products. I was curious after reading this if There is a way to rip files ‘unknown’ and alter metadata on your own through their app, or does using Their Vortexbox software hamstring you in that? I don’t know…. I suppose for your older audiophile types its a high end digital front end. But I see a Linux computer in a Maczon chassis running free software with a wall wart PSU and maybe an SOTM audio card and Pico DC converter inside. Seems you could build something comparable with $800 and a visit to Micro Center. With fanless PSU’s and SSD drives and motherboards with clean regulated 5volt supply for USB, its not hard to build a completely silent PC these days. Seems a bit overpriced for the specs. Try your own listen at a dealer or get a unit delivered and see for yourself – I’m confident you won’t be disappointed. Interesting. It seems many of the commenters here believe that all files are the same. That no matter how the files are ripped, and the different devices involved, that one AIFF or FLAC file MUST be the same as the another ripped file. Everything in the chain makes a difference to final sound quality. No two DACs sound alike so how could files ripped on different servers or computers sound alike? All I can do is report what I HEAR. If you believe that “bits are bits,” that all digital devices by their inherent nature create sterile little exact replicas, then you should purchase the most inexpensive digital gear available and save your money for CDs. Is it possible to get a sense how the DS stacks up against the Aries, Aurender etc? 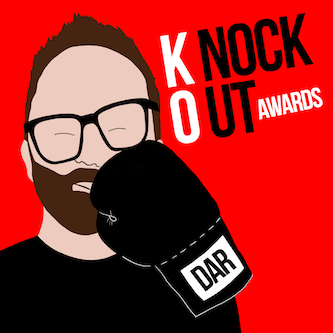 KIH #30 – It’s showtime!